We are happy to announce that the wildfires did NOT reach Adorable Teddy Bears Pool Palace or the Craft Community where we are located. Our sincere condolences go out to everyone in the areas the wildfires burned. Adorable Teddy Bears Pool Palace features a fabulous indoor heated swimming pool with a gorgeous waterfall and a sauna off the pool room for your ultimate experience in total relaxation. Rain or shine, sleet or snow, go downstairs to your own private oasis. Upstairs is an open floor plan with vaulted ceilings and large windows which provide a breathtaking view of Mt. LeConte. You can also enjoy the scenic view of Mt. LeConte while relaxing in the soothing hot tub. Experience the luxury of this brand new cabin near Gatlinburg. It's the perfect place for your next retreat. The first floor has beautiful hardwood floors with a game room, kitchen, dining room, and family room. The game room features a pool table, internet connection Wi-Fi, a Playstation II and X-Box One. Adjoining the game room is a half bath with a washer and dryer. From the game room you enter a fully equipped modern kitchen and a cozy dining room. Step out from the family room onto a large deck featuring a 4 person hot tub, gas grill and porch swing. Relax in the family room on the comfortable sofa and glider rocking chair in front of the cozy gas fireplace and enjoy your favorite program on the 27' flat screen TV with home theater surround sound, and a DVD-VCR player. Upstairs is an open loft with a large king size bed and a romantic heart shaped Jacuzzi. Additional luxuries include a 20' flatscreen LCD TV with a DVD player and a full bath with an electric hairdryer. 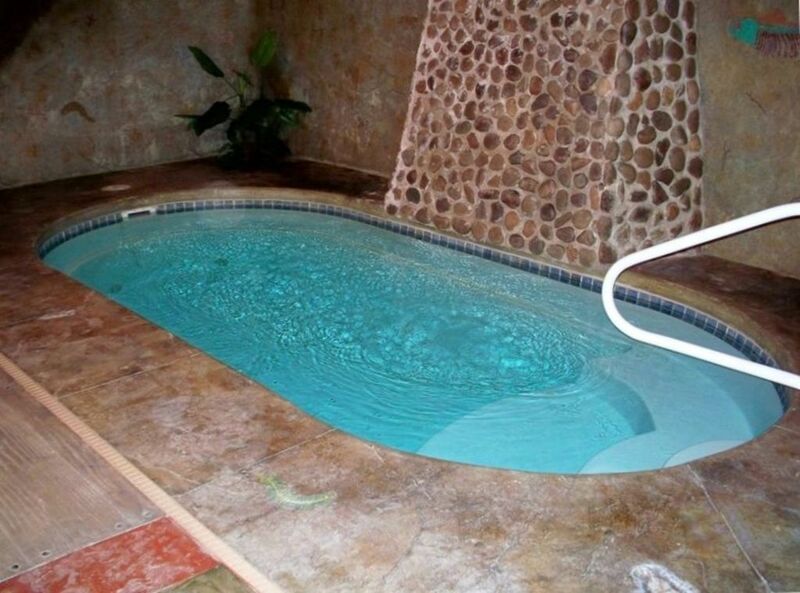 Downstairs you can thoroughly enjoy the experience of your own private heated swimming pool year round. A twin sleeper sofa is available if you decide to take a nap. The Sauna, off the pool room, provides you with ultimate relaxation as well as the two rocking chairs on the exterior deck. While relaxing you can also shower in the full size bath. Discover the ultimate experience in luxury when you stay at Adorable Teddy Bears Pool Palace. We had such a great weekend at Adorable Teddy Bears Pool Palace. We enjoyed the pool and the hot tub. The bed was comfortable and the cabin was clean. The GPS took us right to it with no problems at all. We will definitely go back and we absolutely recommend. We were very impressed with thus cabin. Accommodations were evrything that were advertised and surpassed expectations. The view was beautiful and you really wouldn't expect to be that close to town just by looking around. All around great location. Husband and I stayed here with my daughter and her friend. Did not tell them there was a pool..... BIG SURPRISE!!!! It was awesome!!!! Sauna was fabulous! Hot tub was not hot when we arrived which was a big disappointment We were really looking forward to getting in and relaxing after our drive. Read that if they had to empty it could take up to 24 hours to heat back up. Another disappointment. Gave it till the next morning and still nothing. Called the owner Sandra and she immediately had someone call us to try a few things but didn’t work so someone came out within 2 hours to fix it. We had plans that afternoon anyway so by the time we were back it was perfect! It was a minor setback for our trip and the owner was very sorry and addressed the problem immediately. It’s not the owners fault. Something out of their control. The weather was absolutely perfect and the view was amazing!! So peaceful there!! We would return. My family had a great time at this cabin. It was our first time visiting the area, and this was exactly what we were looking for! The pool, hot tub and sauna all worked great. There were instructions hanging around to let you know how to operate everything. The kids really enjoyed the pool, and my wife and I loved the hot tub. There are cabins close by but you never really see or hear anyone else. Definitely hope we can stay here again! Thank you for your review. Glad your stay at Adorable Teddy Bears Pool Palace was AWESOME. We are looking forward to your return visit. Elderly are welcome, however, there are a lot of steps leading to the upstairs loft and the downstairs swimming pool and sauna. There are 3 TVs throughout with home theater surround sound in the family room. The gameroom features spectator chairs, a 32' HDTV with DVD - VCR player, pool table, Playstation II and an X-Box One. Turn on the waterfall and take the plunge into a 9' by 17' pool with a depth of 5'. The clever design of the room features murals that include fossils, wispy clouds and blue sky. It's an outdoor setting that will astound you. Also featured is a patio table where you can keep your drinks cold while enjoying a game of cards or just relaxing by the pool. On the decks enjoy the porch swing and two rocking chairs. Upstairs is a heart shaped jacuzzi which sits in a cozy alcove overlooking the view. You can contact us concerning specials at atbpp@charter.net or 865-966-2527 or 877-321-3489. Winter $210.00 a nt. 2-4 nts. 24% discount. Rent 7 nts. get 2 FREE! Spring $210 a nt. Rent 7 nights get a 5% discount. Summer $239 a nt. 5% discount for 7 nt. rental. Fall $210 a nt. 5% discount for 7 nt. rental. In appreciation of our past guests, we are giving an additional 5% off the entire stay. We accept Master Card, Visa, Discover, American Express & eChecks. $70 cleaning fee for 1 day reservation. Holiday Rates $265 a night Christmas & New Year. Specials & discounts do not apply for holiday rates. For more information contact us at atbpp@charter.net or call 865-966-2527 or 877-321-3489.